We’ve all heard that retail is in trouble — even serious trouble, depending on who you listen to. It’s true that some large, well-known brands are facing challenging times, just as in every industry. But the narrative that retail is struggling — or even dying — is significantly overblown. Nobody questioned the viability of mobile technology when people ditched flip phones in favor of iOS and Android devices. It’s clear that retailers are responding to a changing and challenging environment, and as in any evolving industry, some will succeed while others fail. Competition is tougher than ever. Foreign retailers are steadily increasing their presence in the United States, innovative new business models are being developed to appeal to the modern consumer and small businesses and startups can compete in niche markets in ways that would have been impossible just a decade ago. The challenges brought by technological innovation are impacting businesses across a range of industries — and when big companies start to struggle, people take notice. Most consumers haven’t even heard of the companies that make up the list of 2016’s top 10 bankruptcies, but that’s not the case with retail. Retail is a part of our everyday lives in a way most industries aren’t; if a national brand closes stores or files for bankruptcy, we often feel a personal impact or connection to its demise. Retail is generally misunderstood to be dominated by big businesses. The truth is that 91 percent of retail businesses have fewer than 20 employees — increasing that number to 100 employees captures 98 percent of all retail businesses. These companies that make up the backbone of America tend to be overlooked as the media naturally focuses on the handful of large companies closing stores. There are over 1 million retail establishments across the U.S. and retail sales have been growing at almost 4 percent annually since 2010. When news comes of a few thousand retail stores closing, remember that every industry experiences turnover. You’re not hearing about all the stores opening: Dollar General alone plans to open 1,000 stores this year and many more retailers are expanding. According to the Commercial Real Estate Development Association, 2016 saw 86.8 million square feet of new retail construction, and retail rents were at their highest level since 2008 through the first quarter of 2017. What’s more, availability rates have been steadily declining since the end of the recession. Stores are still in vogue. Many online retailers recognize the value of a physical presence — businesses like Amazon, Warby Parker, Bonobos and Blue Nile are experimenting with bricks-and-mortar locations. All retailers, whether purely online or purely bricks-and -mortar, must adapt to how customers prefer to shop in a digital world. Competition has increased as access to the consumer has evolved, driven by advancements in technology. In a recent NRF survey, 48 percent of merchants said they had increased their technology budgets in 2016 compared with the previous year. Retailers are having to adapt and invest more capital into creating multichannel customer experiences, and these investments are bearing fruit. Certain segments of store-based retailers have been growing e-commerce sales at a faster clip than pureplay online retailers, according to data recently released by the Census Bureau. For example, building materials and garden equipment and supplies stores grew their online sales by almost 200 percent in the four-year period between 2011 and 2015. Online sales are growing rapidly for store-based retailers as well as internet pureplays. But that’s the problem, right? Soon everyone is going to be doing all their shopping online. Not according to the data. 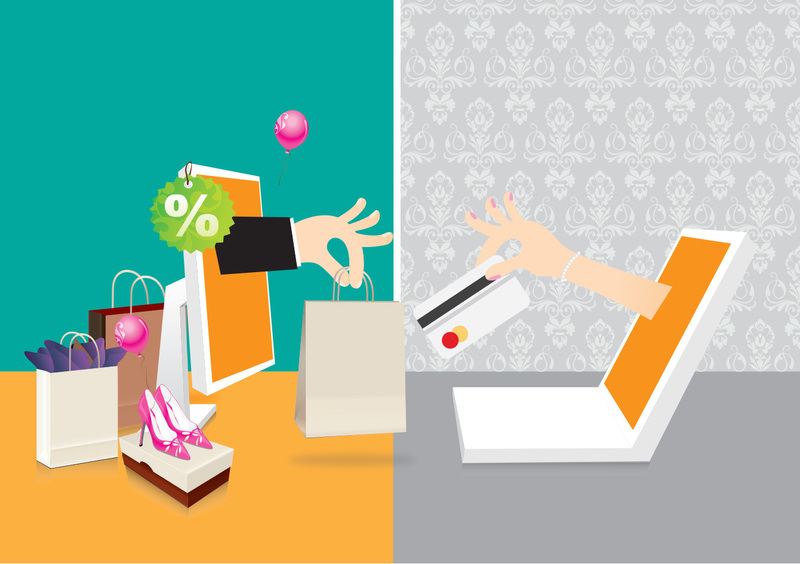 Online sales currently make up less than 10 percent of total retail sales. If you just focus on pureplay online sellers, this figure drops below 6 percent. While online is growing rapidly, it’s only a small part of a much larger whole. People still shop in stores for reasons ranging from convenience to preference. In a recent study NRF conducted with IBM on Gen Z, we found that 98 percent of these young, digitally active consumers shop in stores. There is no doubt that e-commerce will continue to penetrate the store channel and more people will research and transact online. However, this ignores the fact that many of these transactions either start or end with people visiting a store — either to touch or feel the product or to pick up online purchases. E-commerce is simply another channel to the consumer; it isn’t killing retail — it’s just changing it. Much has been made of late about recent declines in retail jobs. This analysis ignores that retail employment has been incredibly robust for years. Retail jobs have grown by 1.5 million since the beginning of 2010, according to the Bureau of Labor Statistics; there were 577,000 retail job openings in April, well above the three-year average of 554,000. In fact, it’s the second-highest April reading since the BLS started collecting job openings data. There were also only 162,000 layoffs in April, the lowest April layoff figure since the data series began in 2000. Retailers are clearly hiring and layoffs are at historically low levels, so why is there so much talk of a retail job apocalypse? One of the big issues is data-related. The BLS only considers employees a retail worker if they work in a building in which retail sales occur, ignoring all the retail workers in headquarters, distribution centers, call centers and other business lines who aren’t customer-facing. This data collection approach is rooted in an extremely antiquated view of the industry. As we know, e-commerce is an important element of retail today and retail companies are investing in employees to grow this aspect of their business. They’re hiring technology professionals, distribution center workers and a whole host of employees who don’t turn up in the official numbers. Over the past year, according to Burning Glass, retailers have advertised over 175,000 transportation and warehouse-related jobs and 72,000 computer and mathematical jobs. These jobs are just a few of the professions that represent the diverse and growing retail industry which, for the most part, aren’t captured in the official data set. Retail is clearly evolving, and with any evolution there are winners and losers. While it’s right to recognize the tremendous change and challenges that the industry faces, we should also recognize the new, innovative businesses that are cropping up every day — as well as existing retailers that are reinventing the way they do business in the face of a new retail paradigm.